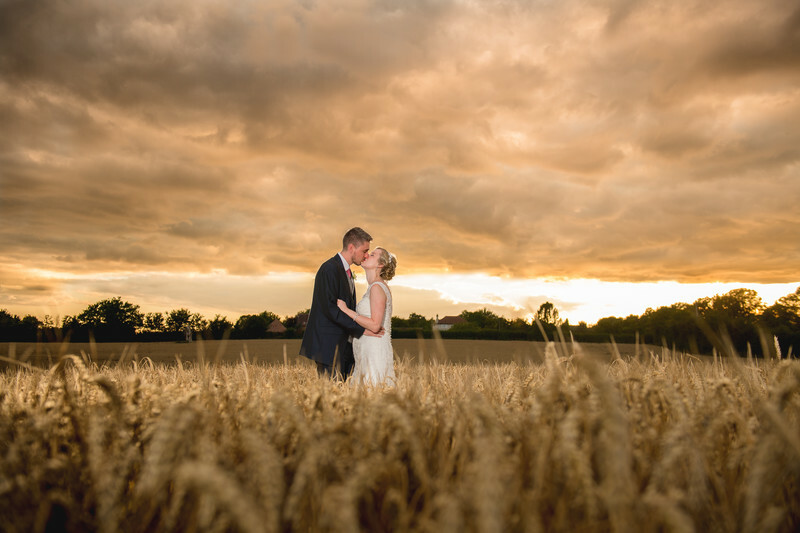 Laura and Scott got married at Curradine Barns in Worcestershire, a stunning converted barn wedding venue set in the rolling countryside. Laura had been at the venue from early, getting ready with her bridesmaids and her mother in the venue's bridal suite. During my final pre-wedding consultation with the couple, we discussed having some photos in the countryside, making the most of the venue's setting. 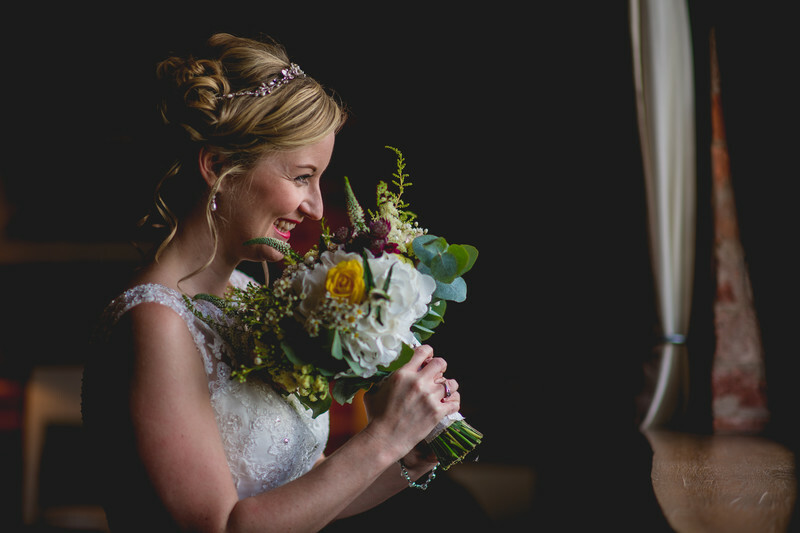 I had picked one spot on the far side of the venue that I thought had a lot of potential, but when it came to it on the wedding day, I had second thoughts - the ground was wet and boggy and the light wasn't quite right. Being able to think on your feet is a really key skill that needed by a wedding photographer as things are likely to change at a moment's notice! Before I got to Laura in the morning, I had been for a quick walk over to a farmers field, about one hundred and fifty meters past the venue. I made sure it was dry underfoot and that we were able to take the photos that we had planned weeks before. 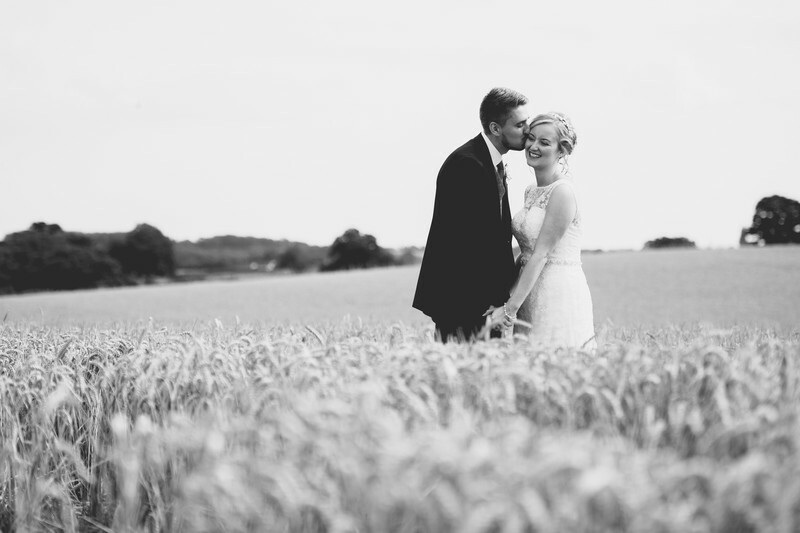 When we got to the maize field, the light still wasn't quite as dramatic as I had hoped but it was soft enough that we could take some lovely photos of the bride and groom still, as you can see in the main image for this article. The light did change however a couple of hours later, and we witnessed the most amazing sunset! Have a look at the incredible wedding photo below. For this photo, I used the manual camera mode and set my exposure for the ambient light, which was rather bright in places - correctly exposing the sky however meant that the bride and groom would be a silhouette, in order to combat this, I used two off camera flashes to balance the light to make the perfect exposure.